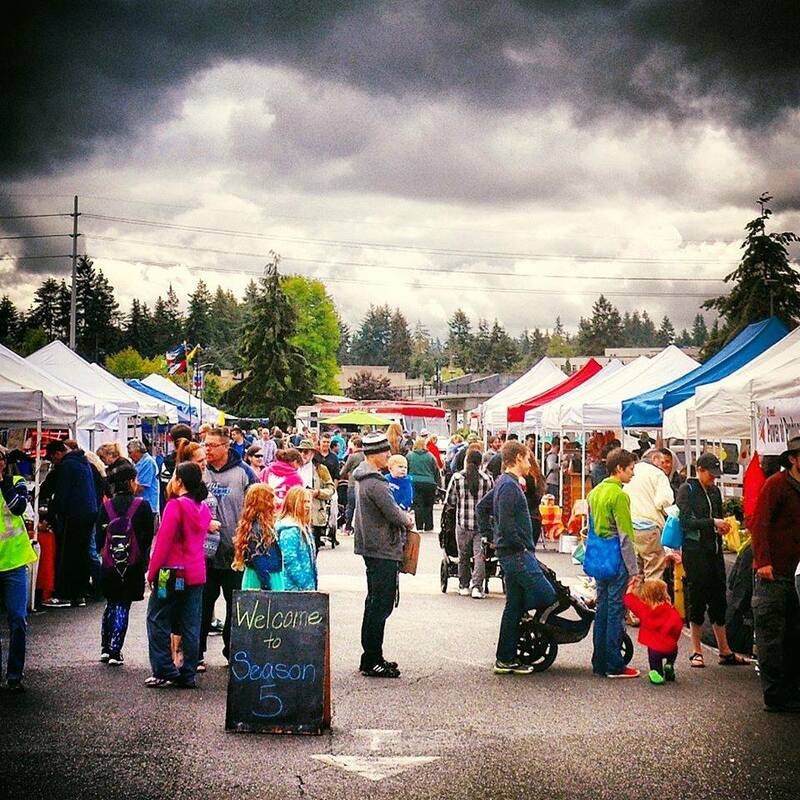 Join us as we kick off our 2018 market season in Shoreline! This is our 7th season and we are excited to continue to bring more farmers and artisans each year. We will also have lots of hot food options, games for the kiddos, live music, chef demos and fun for the whole family. Our market is driven to support our local farmers, economy and the environment and every visitor helps us and our partners achieve our goals. Of course, we ask that you please share this event with your neighbors, friends and family as you see fit. Visit our website if you'd like more information or would like to sell, volunteer or sponsor the market. Great picture! Northwesterners don't let grey clouds keep them inside!